It seems at least a handful of Republicans and Democrats in Congress have finally found something they can agree on: A new bipartisan bill that would allow victims of the September 11, 2001 terror attacks and their families to sue Saudi Arabia for any role in the attacks may be a bad idea. Not for the families of the victims, of course–it would be a great idea for them to be able to finally hold someone fully accountable for the unspeakable tragedies that occurred–but for the United States as a whole. There’s no denying that Saudi Arabia’s whole connection to the terrorist attacks is pretty sketch. Nationality and tendency to partake in terror are not correlated, but the fact remains that of the 19 hijackers, 15 were of Saudi descent–a fact worth noting in this case, due in large part to the fact that the monarchy has been suspected of covertly supporting al-Qaeda for years. 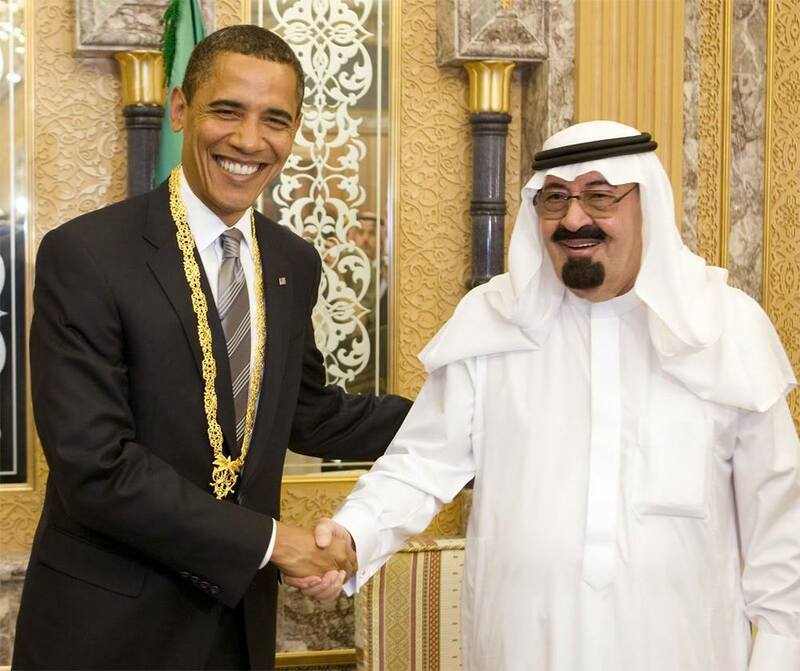 No one has ever been able to prove that Saudi Arabia is connected to the terror group, and the 9/11 commission has even stated that “There is no evidence that the government of Saudi Arabia supported or funded Al Qaeda.” However, as long as the Obama Administration continues to act shady and refuses to declassify the full 28-page report conducted by the commission, questions continue to linger about the Saudis’ involvement. Given the general lack of clarity surrounding the situation, you’d think this bill would be instrumental in answering some questions, but that’s not at all the case. While broad support does exist in both parties, very vocal minorities–many of whom are senior members of Congress–on both sides are opposing the bill for very different reasons. Yet in both cases, it’s fair to say that what goes around, comes around. As Edwin M. Truman, a fellow at the Peterson Institute for International Economics, told the New York Times, however, this is likely not a credible threat. “The only way they could punish us is by punishing themselves,” he said, reminding us that any threat to the stability of the U.S. dollar is also a threat to the value of the Saudi riyal, since they are tied together. It’s a pretty damning statement, and reeks of self-interest, but it also hits the nail on the head, and a little too well. Which is a very real concern, if you pause and take a look at our track record. In the decades since the Cold War, the United States has increasingly begun to rely on covert operations to complete its goals on the world stage, which has led to some partnerships that are unsavory, to say the least, and would probably land the U.S. in court from sea to shining sea if investigated thoroughly. Even now, with regards to Saudi Arabia itself, it is America that is most avidly financially backing the slaughter of Yemenis in a seemingly never-ending air campaign. Unless we change our stance quickly, as long as the Saudi war in Yemen drags on, our hands are tied and we’re in a very sticky situation. It’s almost like we didn’t learn from sticking our hands on the burning stove that was the Bay of Pigs. Or the Bangladeshi Liberation War of 1971. Or Vietnam. Or Iran-Contra. Or Afghanistan. Or Iraq. Or any of the other great American miscalculations in foreign policy in the last 50 or so years. The bottom line is: The 9/11 victims and their families deserve only the best–and they, and especially the first-responders among them–have had to fight over and over again to get even the smallest solace. If this isn’t the proper way to give them that–if for no other reason than because of failures in the decision-making of our own government– then Congress needs to step it up, and act fast. Sumaia Masoom is originally from Platteville, Wisconsin, and is currently a junior at Northwestern University studying Social Policy and International Relations. She does not know what exactly she wants out of the future as of yet, but she hopes it involves cookies and taking down the patriarchy. Her pet peeves include when people say "chai tea" and/or mistake feminism for a movement for female dominance rather than equality. She also writes for The Huffington Post and is a contributor to The Hill. So are Afghans and other peoples from other countries allowed to sue the United States for creating the Taliban? Or killing their leaders? or falsely invading their country?……..9/11 was a horrible account….but others deserve the best too. Western peoples are not the only people that suffer and shouldn’t be getting special treatment. Are we going to allow African Americans to sue the government for slavery or GB for taking them from their homeland to be slaves?? We have more important issues to deal with.